As a child I loved building things – and Meccano was no exception; my best friend as a child had a big box of it and we would spend hours making things. 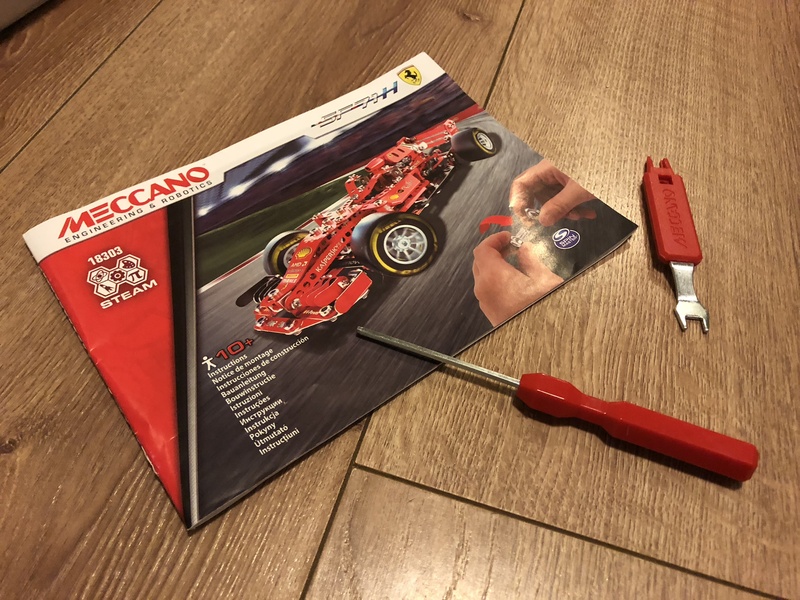 Fast forward a few decades and I’m now mummy to a racing car obsessed little man and when we were sent a Meccano Ferrari SF71H kit for review we were all excited – especially me and my husband, who were excited at the prospect of doing something we’d not done since childhood. 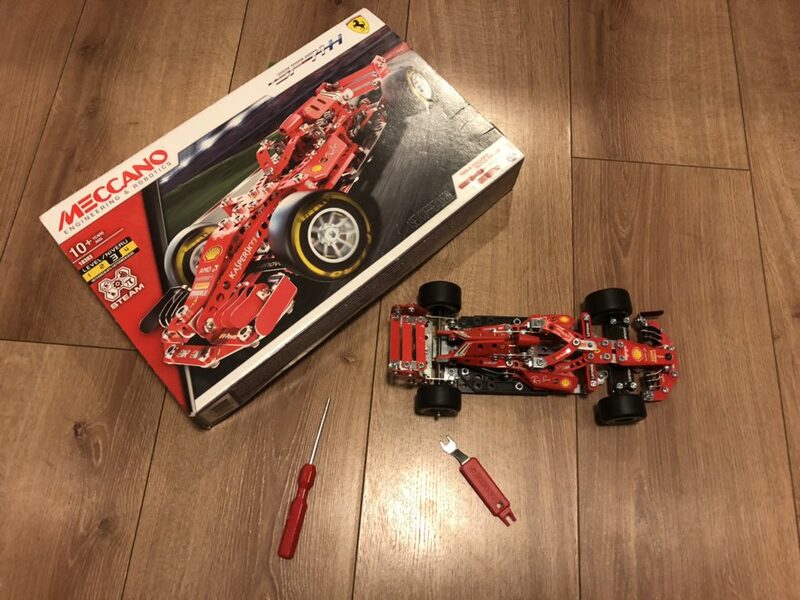 This kit is for ages 10+ and includes everything you need to build it – the box contains 362 parts, 2 real tools, a sticker sheet and an instruction booklet. Once built the the wheels can be posed and steered, like a real car. 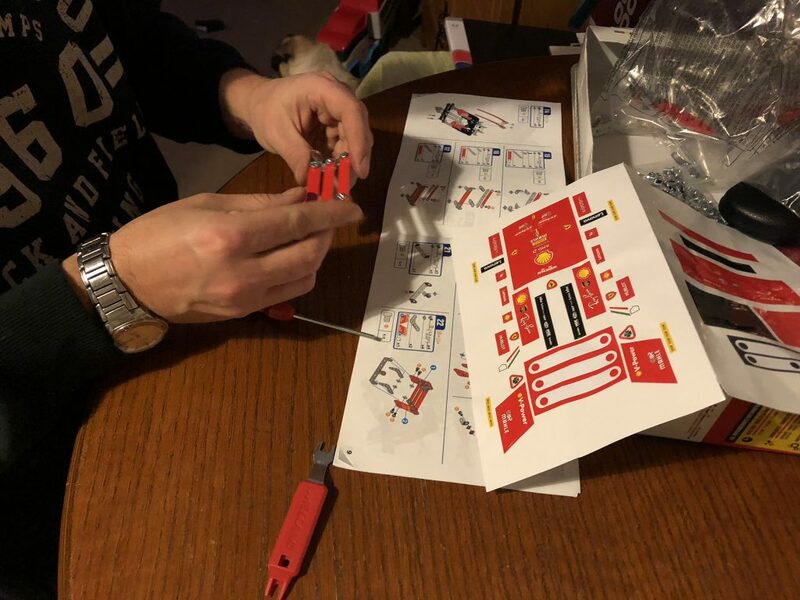 Meccano rates the build ability from level 1 to 4 based on difficulty; this kit being an intermediate(level 3) build and beginners mechanism(level 1). The box suggests a build time of 3-5 hours. 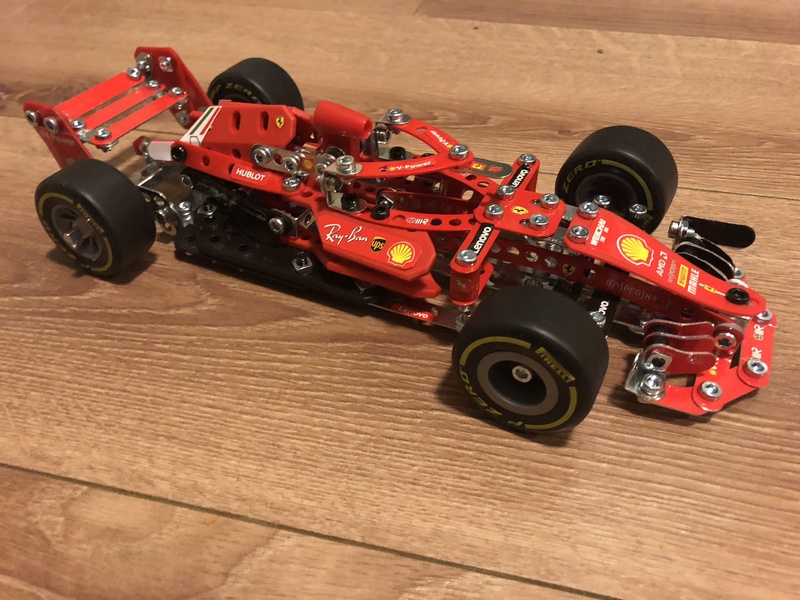 The Ferrari SF71H was the Formula 1 racing car driven by Sebastian Vettel and Kimi Räikkönen during the 2018 season and is is Ferrari’s most successful car in the hybrid engine era to date. Hubs decided to take on the challenge – he’s been looking for something to occupy the Winter evenings and he settled down and built the kit over a few evenings. The parts came in three bags which we assumed would be grouped by build stage but this wasn’t the case; it was really easy however to distinguish and separate the bits. The instructions are clear and easy to follow, with the first page detailing how to use the toys and each step clear to read and follow with a diagram. We did unfortunately have one bit missing from the kit but there is a helpline number on the back of the instruction booklet and any missing parts can be requested easily and quickly. 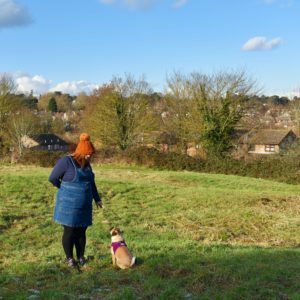 It was fiddly in places – some of the parts are quite small but it was great fun overall. The stickers were the final step and some of them were tiny, we used tweezers to stick the awkward ones on. The tools were robust and the kit as a whole is well made and strong and durable. This would be a perfect gift from anyone who loves building things, especially models – from age 10 to 110. 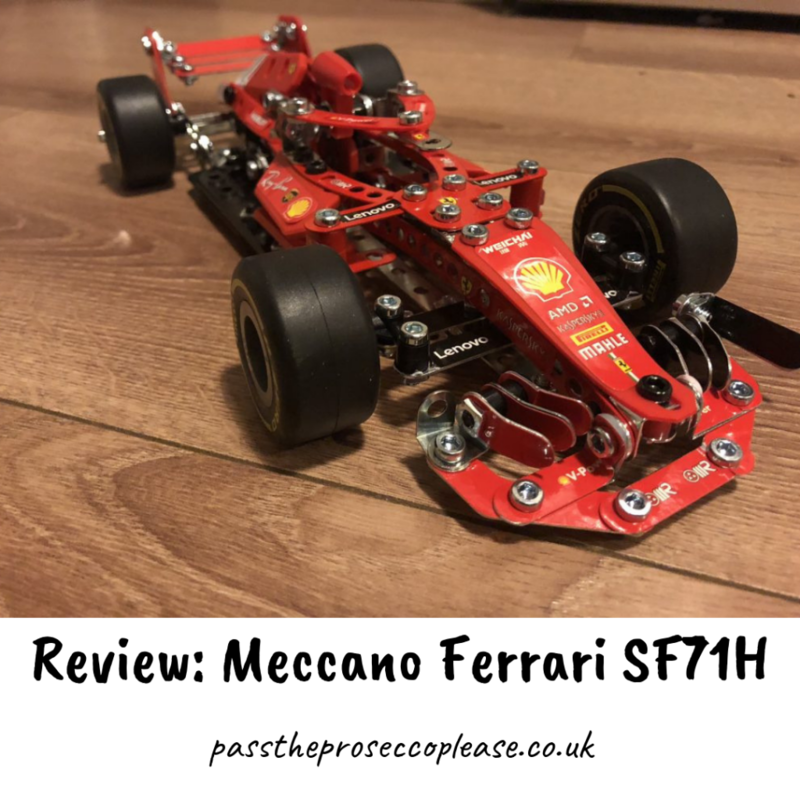 The Meccano SF71H is currently £39.99 and you can buy it online from Amazon UK*.